Welcome to Service Innovation Corner (SINCO)! 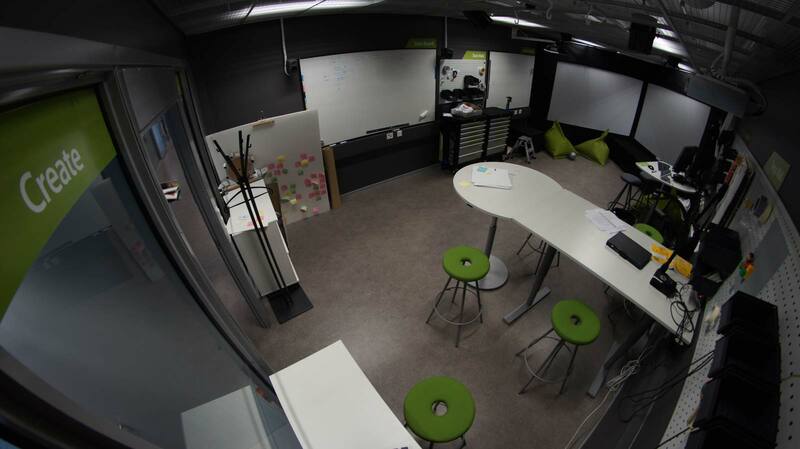 SINCO is a service prototyping laboratory at the Faculty of Art and Design in University of Lapland, Finland. SINCO also represents a holistic hands-on approach to service design, co-creation and user-experience-driven innovation activities. View quick SINCO introduction with 3 slides. Study more about environment and methodology by selecting SINCO Lab and Publications on menu. Sinco.fi site collects events, cases and publications produced in several service design research and development projects using and developing SINCO. 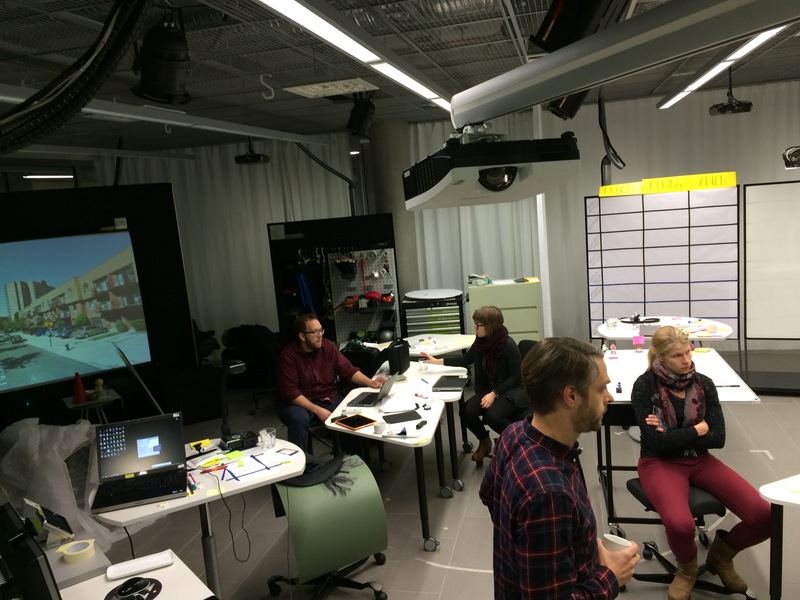 During the year 2017 the SINCO team of University of Lapland was co-developing the service design lab concept one step further when developing a corporate version of the lab concept for Volkswagen. 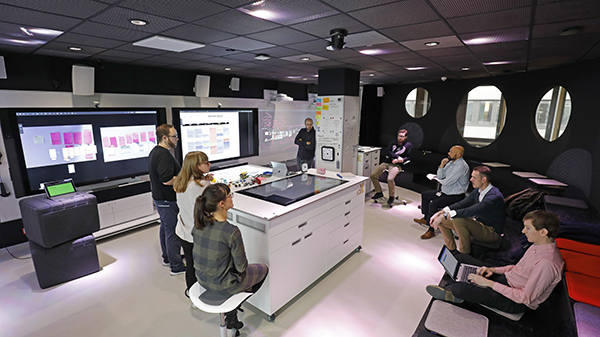 The 10X lab at the IT:city, Wolfsburg utilizes large touch screen and Deon (visual information management platform) as new features to enable entirely digital workflow for SINCO workshops. > Read the article on Volkswagen website introducing the 10X lab! What can companies expect when engaging in service design? 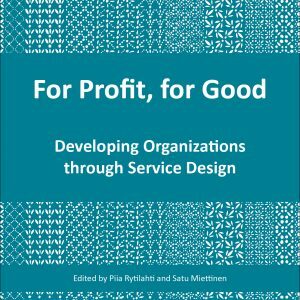 What has been the profit from or other benefits provided by service design? We have collected 11 successful examples of how service design has been utilized in business and non-profit organizations (NPOs). Check out our new publication, available both as a printed book (inquiries: piia.rytilahti(at)ulapland.fi) and pdf-version. In spring 2016 I was doing a researcher exchange in New York City at Parsons School of Design. During that time I had a privilege of working with a small youth group in Brownsville, a neighborhood in East Brooklyn. Brownsville is considered to be one of the most dangerous neighborhoods in New York City with high crime rates a large number of public housing projects which provide rental housing for low income community members. This all makes the environment very challenging for the young people and many of them have contact with the justice system while growing up. Brownsville Community Justice Center (BCJC) is a public organization that works with young people who come into contact with the justice system and provides them for example social and health services as well as education. I was involved in one of the courses at BCJC focusing on media and design skills. 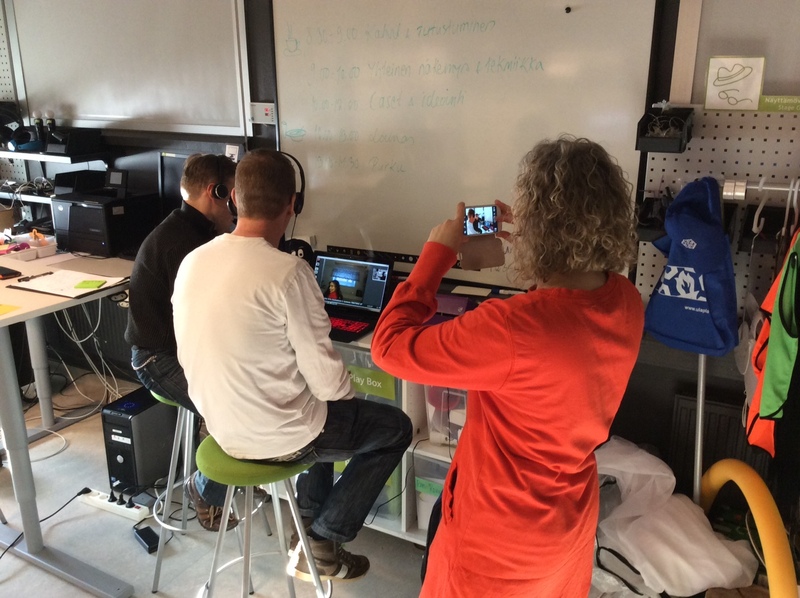 I worked with the course participants to experiment the use of audio tools in storytelling and in the ideation process in order to make a change in their own surroundings. The outcome from the project was three short audio stories that describe the experiences of the participants. Using these stories as a starting point, the group ideated how the neighborhood could be changed through a design of a public space. The ideation started by thinking how the space would sound like, what would be the activities people could do there, and in the end, how the space could look like if those functions would be implemented. Find the rest of the audio stories from the Youtube channel of HumanSee project. 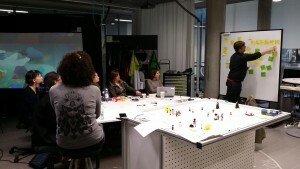 Last week we had a two-day workshop with the service design team from Kone. Themes of the workshop included testing with Periscope and other new kinds of agile tools for acquiring and analyzing customer and user insights, using Sinco for prototyping services, and scaling and utilizing the complete Sinco concept for Kone’s service design needs. The workshop was part of the Humanizing Service Experiences with Design Methods (HumanSee) research project and the Need for Speed (N4S) research program. After getting finished the new greater SINCO spaces in the renewed premises during November, we’ve had eventful great two weeks at sinco before the season break. 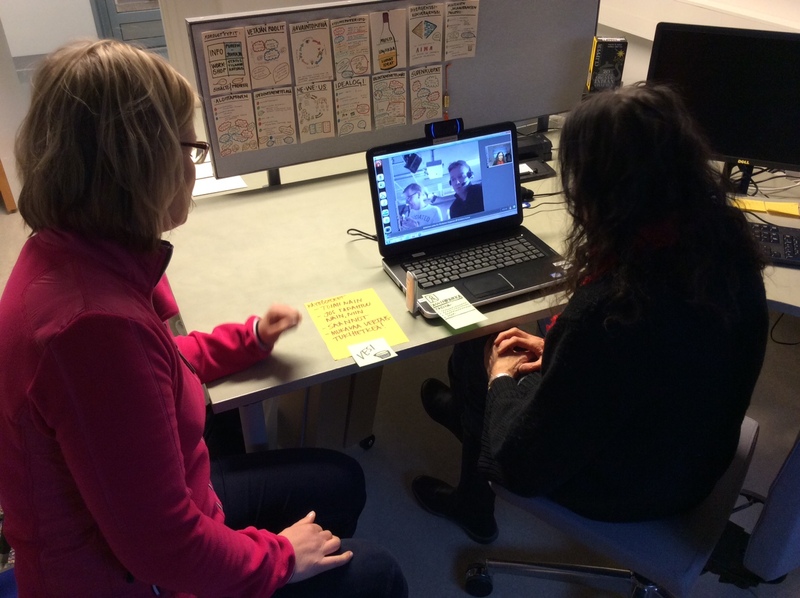 First workshopping several days in SINCO exploring new service ideas with Volkswagen teams and then hosting N4S research program baclofen including several SINCO demonstrations for over 100 participants from 29 companies and 11 research institutes and universities from Finland. Thanks for all collaborators! Looking forward with this years interesing events! SINCO space 3.0 at the renovated F-wing. Experience prototyping new service concepts with VW team. Service Design team working during the effective two and half days SINCO sprint. Videos have become a key documentation method for compiling service design workshop results in agile way being a powerful communication tool which conveys human aspects and emotions. Both the customer insight findings and novelty concept ideas found through experience prototyping can be rapidly captured as narrative movie during SINCO workshops. At the beginning of October the SINCO team got a great opportunity to organize an ‘How to Make a Service Design Movie’ workshop in Service Design Network Global Conference 2015 (SDNGC15) in Parsons New buy nolvadex online School, in New York City! Take a look in short video and see how was our workshop. In N4S research project together with Bittium – formerly known as Elektrobit – SINCO, experience prototyping sessions and UX related data visualization were experimented as part of a B2B product development process during spring 2015. The case project included the concept development of the accessories for the Tough Mobile communication device targeted to authority segment. The aim was to investigate how to integrate agile service design fluoxetine prozac buy process into R&D processes of the engineering focused company. SINCO simulation and facilitation of co-creation workshops involving both internal and external stakeholders can provide significant value not only for the products being developed but also for the B2B projects which can be considered as a service with multiple touch points in client’s point of view. Watch the video highlighting the examples of co-creation workshops and data visualization. Couple of weeks ago an enthusiastic group of people developed new remote peer-to-peer services in SINCO. The workshop was done in co-operation with Poske and Balanssi ry. The aim was to ideate new way of using Virtu service points in peer-to-peer help and guidance. Virtu points are places where people can contact different health and social service staff virtually (hence the name Virtu). In Finnish Lapland, which is sparsely populated and distances are long, these kind of services has been seen as a way to keep the existing services available for everyone. Service design workshop helped to see the pontetial of virtual services in peer-to-peer work and also to design them more “human”. 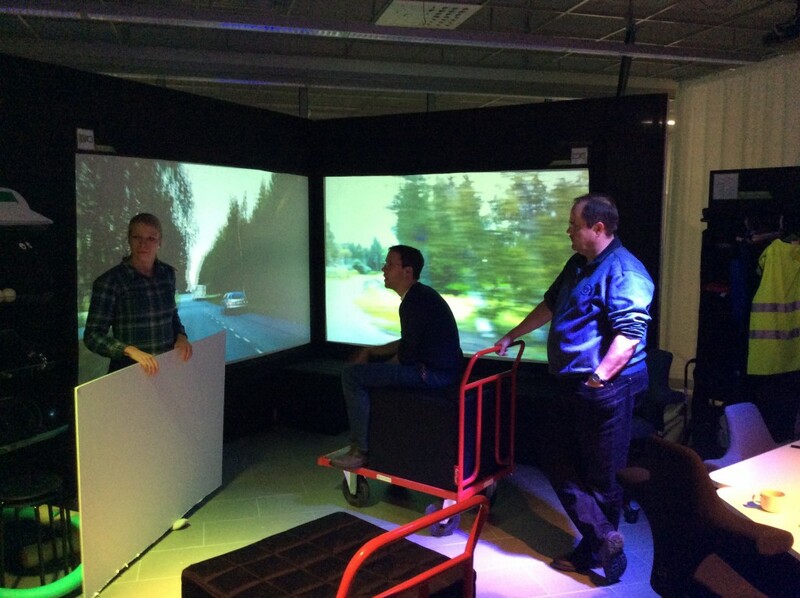 Thank you participants, Poske will continue to piloting this new service with Balanssi ry. Besides SINCO being used mainly for the service design studies we as Interior and Textile Design students used the SINCO lab in an innovative way during our Advanced Textile Design course. 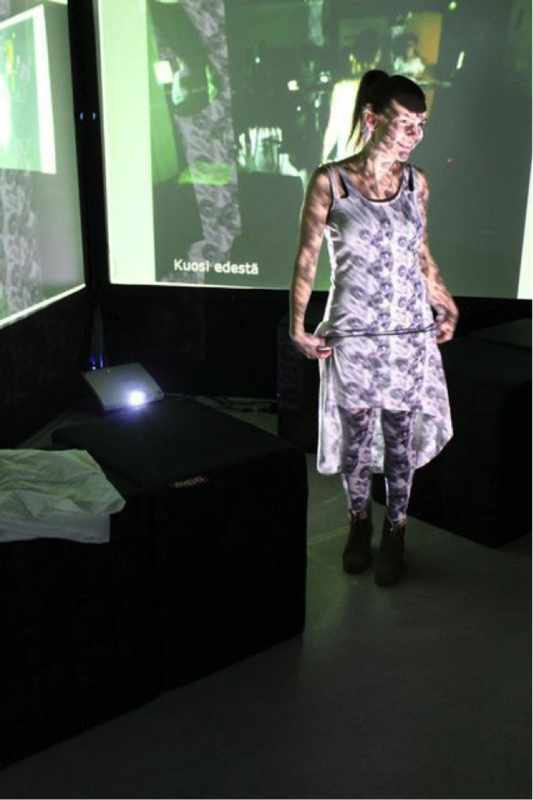 We projected our textile patterns on clothes. 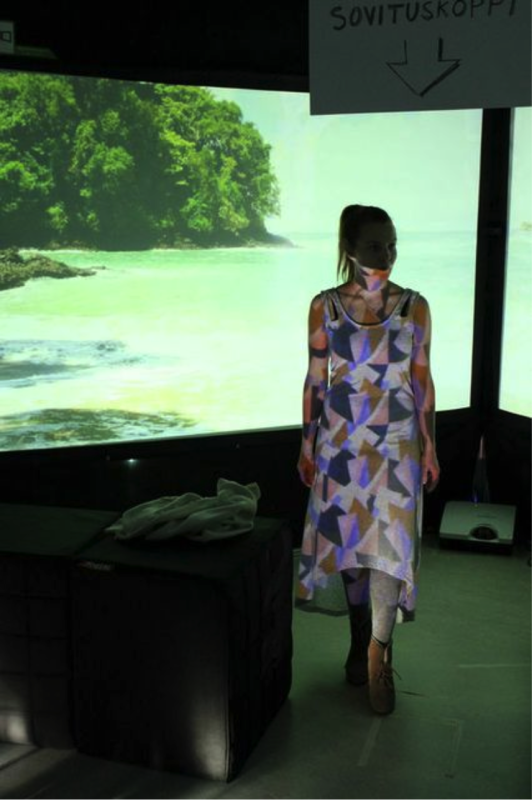 We tested the repetition, scale and color of the designs in a fitting room simulation. 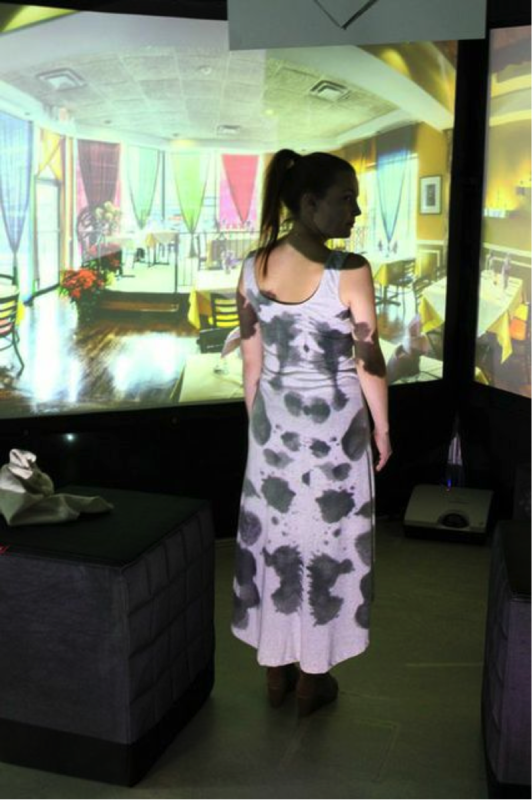 Individuals participating in the workshop had dressed in white clothes on to which the patterns were projected. We also tested the patterns in different environments. We projected images of a busy city street or a beach view on the background to test how well the patterns stood out or blended in. We emphasized the atmosphere by adding sounds of traffic or the splashing of waves. We invited canadianonlinetabs visitors to our workshop and received a lot of useful feedback on how the patterns felt and what kind of emotions they evoked. Sinco lab really helped us face the great challenge of designing of a print pattern for fashion: How to design a pattern that is both innovative and unique but also pleases as many customers as possible? Within the Need for Speed (N4S) program, a case project for Electrobit was conducted to deliver deep customer insight for the company on communication processes of crisis situations. In the N4S program one of our research topics focus on how service design process and methods integrate with agile software development and continuous deployment models. See how the fire brigade process was learned and reproduced as a sinco experience with EB.